In 1642 the English Civil War broke out after years of tension between Parliament, the King and his people. Whilst events on the ‘mainland’ may have seemed far away to the average Guernseyman, like every Englishman Guernsey found it had to choose a side. As in England choosing was never easy, families were torn apart with father against son, brother against brother. In the end Guernsey sided with Parliament whilst Guernsey’s Governor, Sir Peter Osbourne, chose the King. The Governor fled to Castle Cornet and thus began one of the strangest affairs of the Civil War a 9 year siege between the Castle, that was supposed to protect Guernsey’s main sea port, St Peter Port and the island of Guernsey itself. Even after the war was over and the Monarchy restored in 1660 after the brief period of the Commonwealth ruled over by the Lord Protector Oliver Cromwell (1649-1660), Castle Cornet’s part in this great upheaval was not over. Following the restoration in 1660 one of Cromwell’s most ablest Lieutenants, Major-General Sir John Lambert, seen by many as the successor to Cromwell as Lord Protector and therfore a direct threat to the Monarchy, was imprisoned in Castle Cornet from 1661 to 1670. In this article we look at the life Castel Cornet’s most famous prisoner – General Lambert. Born at Calton, near Malham. Yorkshire. Studied Law. Married Frances Lister on 10th September 1639. Father of ten children. On the outbreak of the Civil War in 1642 Lambert enlisted for Parliament and rose to high rank. His Army of the North was vital to the final victory at Worcester in 1651. A courageous, skilful soldier, Lambert was a generous opponent to the Royalists. Significantly he played no part in the trial and execution of King Charles I. “Honest John” Lambert possessed an exceptional political talent. 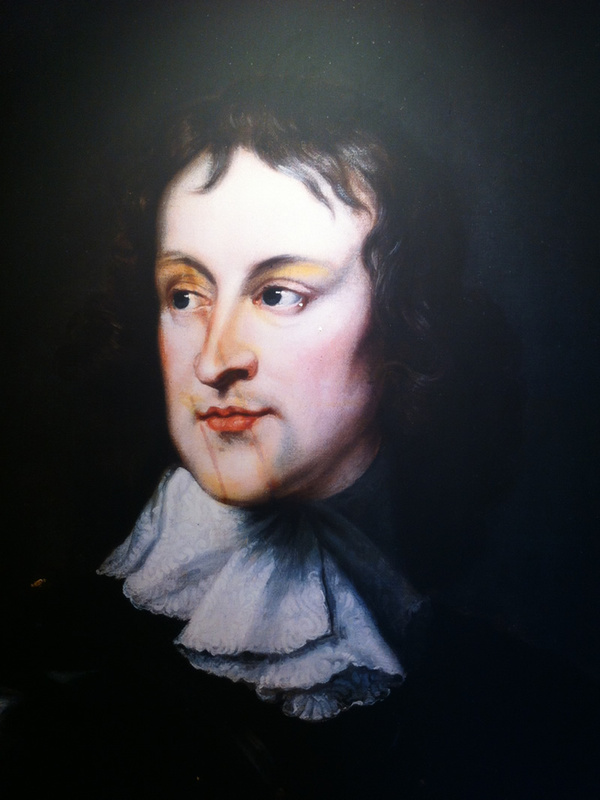 He was instrumental in setting up the Protectorate for Cromwell, gaining for himself a seat on his Council of State, as well as the Presidency of the Array Council, a body able to muster and array men to see them in a condition for war. He probably saw himself as Cromwell’s successor, but steadfastly fought all plans to make him King. After Cromwell’s death in 1658, Lambert acted as chief negotiator for the Army in the proceedings which restored Parliament. Cashiered along with other Army leaders by Parliament, Lambert reacted in seizing the House and debarring the Members. The Royalists, expecting him to proclaim himself Protector, eagerly planned to bribe him to reinstate Charles II. Lambert was relieved of his commands and appeared before the Council of State in March 1660. Maintaining he was unable to pay the security demanded against his good behaviour he was sent to the Tower. He escaped and tried to rally support in the Midlands, but was brought a prisoner to London. At the Restoration of the Monarchy in May 1660, Lambert escaped fairly lightly despite having been so politically harmful. He had taken no part in the trial of Charles I and so avoided the death penalty. Lambert himself asked for pardon saying that he wished only to live in peace. 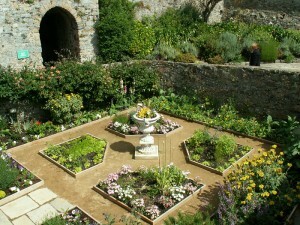 In October 1661 Lambert was exiled to Guernsey and allowed to take a house. The next summer he was brought back to London to stand trial and was found guilty of High Treason. King Charles II intervened to stay his execution and Lambert returned to Guernsey and Castle Cornet. Lambert occupied his time in painting, needlework and the cultivation of flowers, an interest that he shared with his old commander, Sir Thomas Fairfax. He is reputed to have introduced the Guernsey Lily (Nerine sarniensis) into the island. General Lambert’s Garden can still be seen today within Castle Cornet. The clandestine marriage of Lambert’s daughter Mary with Hatton’s son, Charles, strained his relations with the Governor and in 1667 Lambert was removed to the island of St. Nicholas in Plymouth Sound. He died still a prisoner in 1684.